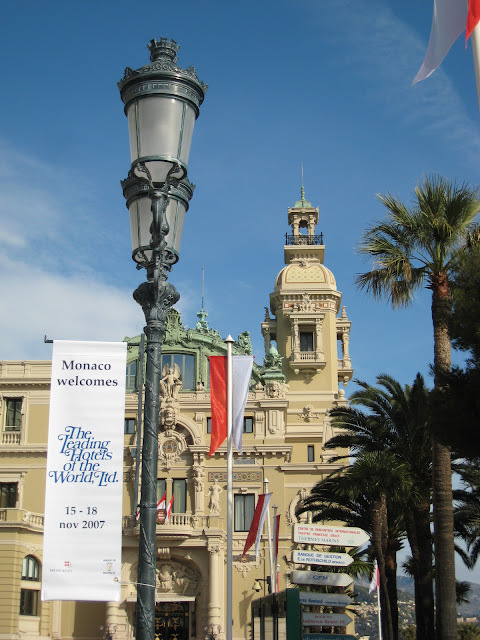 This is how Monaco displays some of the events that are held in the Principality. These banners are throughout Monaco at the moment. In the background: the Salle Garnier (Opera house) which is of the ornate Casino building. One should have quite a spectacular view from the top of that Opera House! The architecture is indeed fantastic. Very ornate and eye-catching!